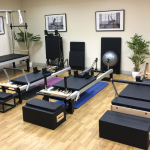 The first part of our in-depth look at the props you find commonly, or sometimes uncommonly, in a yoga studio and class. Props are used to help aid or deepen your yoga practice. They are a great tool to help you discover more about yourself and your practice. A yoga block is just that, a block. They can range from 1” to 2” thicknesses and range in material they are created from but are rectangular and around 30cm x 20cm in size. 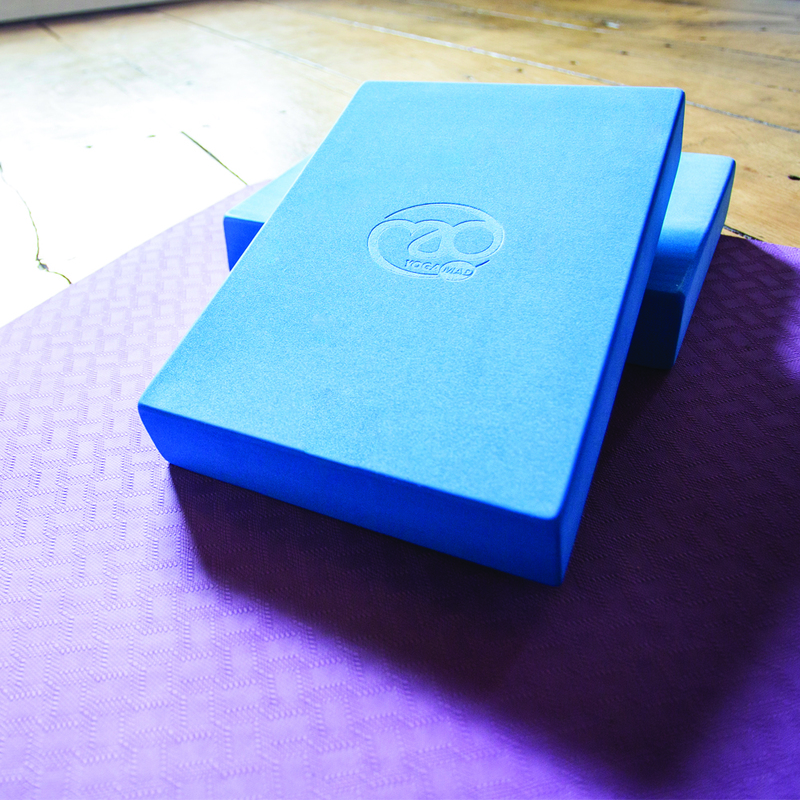 A 1” block is commonly referred to as a half yoga block and the 2” – you guessed it – as a full yoga block. They originally came onto the yoga scene in the 70s, popularised by B.K.S.Iyengar, and almost always made from wood. Many people would make their own, but it made them difficult to keep the sizes unified as well as quite heavy for travelling with! As with many props, a yoga block aids your practice. Yoga props do tend to have a bad rap purely because many people think of them as a sign of weakness but that is a silly misconception! Blocks (and any other props) can truly enhance and deepen your practice. 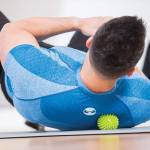 They help aid you to attain good alignment as well as help to prevent overstretching and thus, injury. For many of the more advanced poses some of us wish to get into the pose without the assistance they provide (that pesky ego! ), which they might be able to do but if your body isn’t ready for that pose it can be quite harmful, and you might not be opening the areas you should be for the pose safely. This all comes down to personal preference, foam blocks are often lighter and come in a fun range of colours while the cork is a natural material and provide great grip too plus cork has some antimicrobial properties. There is also the option of a recycled chip foam, friendlier for the environment and are often a bit more squishy making them a bit more comfortable compared to the eva foam versions. Aren’t they just for beginners? Not at all! They are suitable for every yogi or yogini at any stage of your practice, whether you are advanced or beginner! 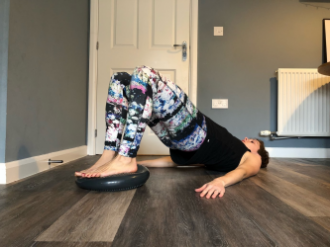 For beginner’s they are ideal to adapt more advanced poses and for advanced they can be used to increase the level of challenge and provide a deeper stretch. Well, this is up to you and to the pose. 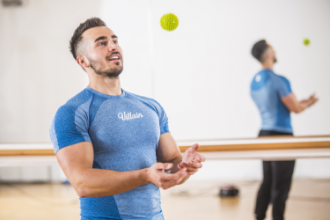 They are most commonly used in pairs and it’s a great place to start but if you’re looking for lots of additional support then the sky is the limit (although a yoga block fort might be a bit too much). What is the difference between a yoga block and a yoga brick? The main differences are the dimensions. 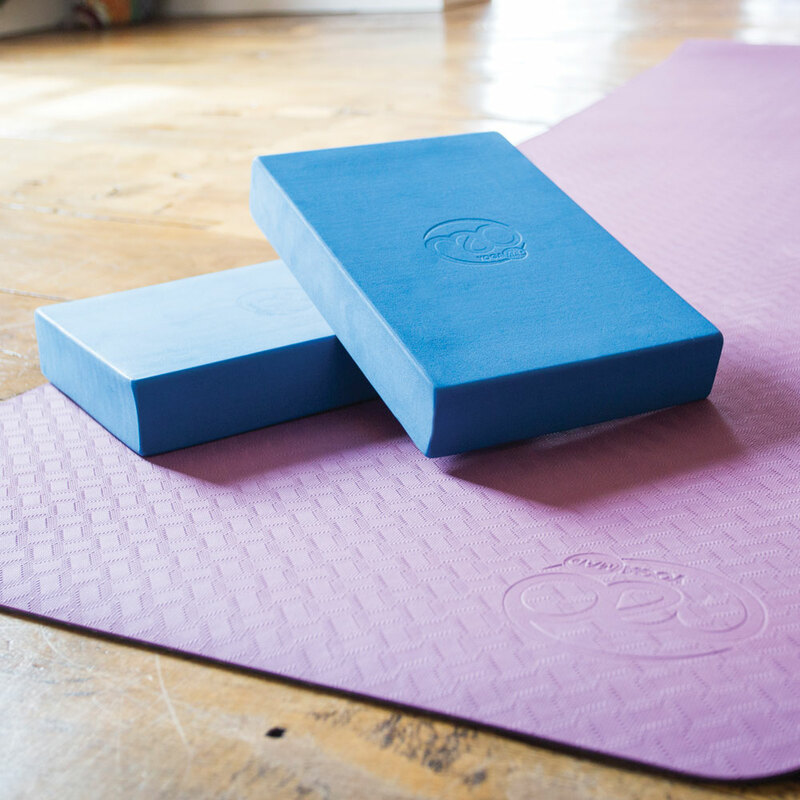 Yoga blocks are thinner and have a greater flat surface area whereas a yoga brick is chunkier making them a bit denser. They have different purposes; a yoga blocks support you for seated postures to add extra height, support the head in supine postures or provide a surface/platform for challenging arm balances or shoulder stands. A yoga brick help ‘bring the floor to you’ e.g. 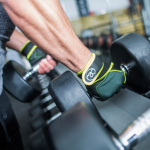 if your hands can’t make it to the floor in a forward fold, you can use them for support. They can also be used for back bend support in poses such as Matsyasana (fish pose) or resting your knees on in Sukhasana (easy pose) or for resting the forehead on in Balasana (child’s pose). Many yoga practitioner’s have both in their yoga kit! When do I use them? For anyone used to yoga you may be comfortable using them, but we would always recommend using props under the guidance of an experienced yoga teacher and let them help guide you about which props are best for your practice. You don’t need to fear props and they can be great for both beginners or those further along their yoga journey. But of course, you will need to learn when and why you’re using them which is best discussed with your teacher!